A new study published online by the journal Anticancer Research has found that cannabinoids can “destroy” cancer cells, and prevent them from growing. For the study, researchers tested six different cannabis-based cannabinoids (such as cannabidiol and cannabigerol) in their relation to leukemia cells. It was found that each of these cannabinoids were shown to be effective at combating the leukemia cells. “Of six cannabinoids studied, each demonstrated anti-cancer properties as effective as those seen in THC. Importantly, they had an increased effect on cancer cells when combined with each other”, according to a press release for the study, sent out today. “This study is a critical step in unpicking the mysteries of cannabis as a source of medicine. 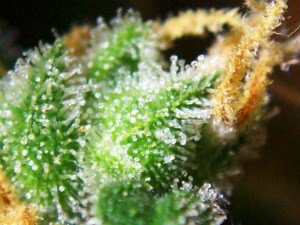 The cannabinoids examined have minimal, if any, hallucinogenic side effects, and their properties as anti-cancer agents are promising”, says Dr. Wai Liu, lead author of the study. This extremely promising study, which was conducted at St. George University in London, can be found by clicking here. The power of CANNABIS never ceases to amaze me.Now to get those die-hard fans of the Dr.’s orders to take chemical drugs only and to get the government of whichever country you live in to DECRIMNALIZE cannabis/marijuana so it can be regulated like liquor & cigarette tobacco and a person can use it without worry. Would also be real nice to see all the hospitals & medical centers using it instead of chemo/radiation poisoning.